I'd love to read your thoughts on my book and if you'd like your review to appear on this page you can email me at jackieburke@grindlewood.com. "I thought the story was really good because it was exciting and full of adventure. The opening battle is amazing and immediately gets you involved in the story... I would recommend this book to others. I thought it was great because it is full of mystery and adventure. I think anyone who enjoys a good mystery will love this book." "My 7 year old daughter was lucky enough to receive Jackie's first childrens novel as a gift and we have been reading it together. It is totally engaging and we are riveted - highly recommended and we can't wait for the next installment!" Ballymore Eustace, Co. Wicklow, Ireland. "The book was about a witch called Wanda and a wizard called Worfeus and a hero dog called Timber. My favourite part was when Timber saved the day multiple times. I would rate the book ☆☆☆☆☆. This book was brillant because it was full of adventure." 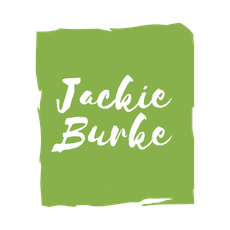 "This book was written by Jackie Burke and this is my first time reading her work. She has written this piece beautifully and I can’t wait for the sequel. The book is beautifully built and detailed. The illustrations were lovely to find here and there and I was very honoured when my library teacher asked me to read it because I in fact would like to be an author and I hope that I can be as good as her one day.... If I were to rate I would give this book 11 out of ten because it was just so good! I wish this author the best and I hope she will keep on writing these amazing books." "The book was really good and I would give it 9/10. Timber was my favourite character. I think children who love animals, adventure and magic will love this book. I've already recommended it to my friends and they are now enjoying it too. I liked all the twists and turns in the story and the way that the author made the mystery unfold. She made it easy to imagine and it was full of excitement. I'm really looking forward to reading book three when it comes out next year." "The book was amazing, I would give it a 9/10. The only reason it was 9/10 was because I kept forgetting who all the characters were. I thought you used great describing words and vocabulary which sort of made me think I was there, especially at the end. My favourite character was Balthazar the bee. He was so friendly and jolly even when times were at its worst. I would definitely recommend this book to children, in fact teenagers too! I wouldn't be surprised if they made the book in to a movie. I can't wait till the third book comes out. It sounds as magical and adventurous as the first two." "This book was an amazing read - filled with intrigue, magic and brilliant battle scenes. I especially loved the fact that it's a fantasy book. I love fantasy books! Like the other installments in the series, I didn't want to put it down. The pages were laden with mystery, secrets and feats of awesome bravery. I recommend this book for ages 9+." "Jemima and Jamie’s parents go away to find out more about who owns the house and once they’re gone, an adventure starts! The evils, Vargon and Audmund, have brought the sorceress Zora back. Luckily she’s weak but Zora is impatient and wants revenge on the people of Hollow Hill." "Jemima has discovered she can do magic, but how? Zora wants revenge on Hollow Hill. Can the Wandeleis protect their home? Can Jamie and the others complete their tasks? Find out for yourselves and read the book. I think you’ll like it because I loved it. I’d give this book, five stars out of five!" "This fourth addition to the Grindlewood series is jam-packed with adventure, mystery and very well described battle scenes! A long enough read with about 300 pages, but it has very big print and is nice and easy. I enjoyed it very much. I would recommend this book for ages 8+." "Ten year old Jamie, seven year old Jemima have moved to Grindlewood House and love to explore the gardens with their dog and cat. They read about the history of Grindlewood and learn about dark magic in the forest behind their garden. Here begin their adventures and their search for a secret spell. One of the things I loved about this book is the fact that the animals have dialogue, but the humans don't hear it. There are not only a cat and dog, but birds, ducks, foxes, frogs and a cute hedgehog - all of these animal talk! There is also lots of mystery and I love reading about witches, spells and warlocks so the storyline was perfect for me. The book has pictures dotted through it which I liked and there is a great cliff-hanger at the end, which made me want to start the second book in the series straight away. I really enjoyed this book and was lucky enough to get a signed copy, which is very special. I can't wait to read part two and will let you know what I though of it... Ideal for confident readers aged 8 +."